The Executive Creative Director of Ogilvy & Mather Pakistan, shares her favourite ad campaigns. 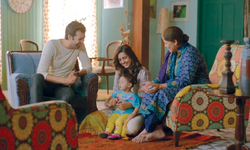 From 'Rajnikaanth-powered' website to Geo TV's hair-raising 'Zara Sochiye' ad, these campaigns are a delight to watch! A beautiful story with a twist at the end. We all want to own a Mercedes – just like the embryo we see. The end comes as a “Oh! S@#$” moment, when the embryo realises it is destined to be a bird. It sounds like another Rajinikanth joke. A website dedicated to the superstar that works ‘without an internet connection’! Visitors to www.allaboutrajni.com are greeted with a warning that “he is no ordinary man, this is no ordinary website. It runs on Rajini Power” and we are asked to switch off our internet connection in oder to enter, otherwise we are not allowed to explore the site. Sadly the domain name expired a month ago so you can’t experience Rajni power anymore. What a brave, honest and amazing ad. Forcing us to open our eyes and see the injustice done to the children of Pakistan – and by ourselves no less. A good idea can go a long way if you don’t give up on it and this is what this campaign is about. 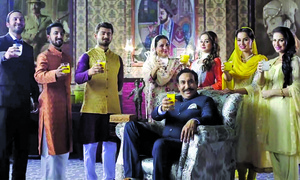 Initially created by the agency for its own CSR activity, it was later picked up by Master Moltyfoam and then it picked up the first Gold Cannes Lion for Pakistan. Finally an ad for a mobile handset which made fun of dancing and overacting celebs. And who better to pull it off than Ali Zafar? Not everyone can afford to be a part of the Super Bowl. So then you have brands like Newcastle Brown Ale which released “The ad we could have made”. A microsite at IfWeMadeIt.com housed teasers, trailers, focus groups and even “behind-the-scenes” footage featuring Anna Kendrick and Keyshawn Johnson in the TVC they would have been made if only Newcastle had both the mega budget and the permission to actually advertise during the big game. Now that’s creative. What better way to tell powerful individual stories than through a trailer? Tell the human stories of people who challenge their destinies and create their own path with Bank Alfalah. Lots of action, funny execution and a point well made about. Ufone exaggeration at its best. Eight intelligent ads that are a must-watch! The idea of embryo could have been used to reinforce the children to buy Mercedes in their life once. Just a note: Moltyfoam picked up a Bronze Cannes Lion in 2015, but it wasn't the first for Pakistan. The first Cannes Lion for Pakistan - Bronze in 2014 and two Golds in 2015 were picked up by "Not A Bug Splat", also by BBDO Pakistan.